Love the purple! 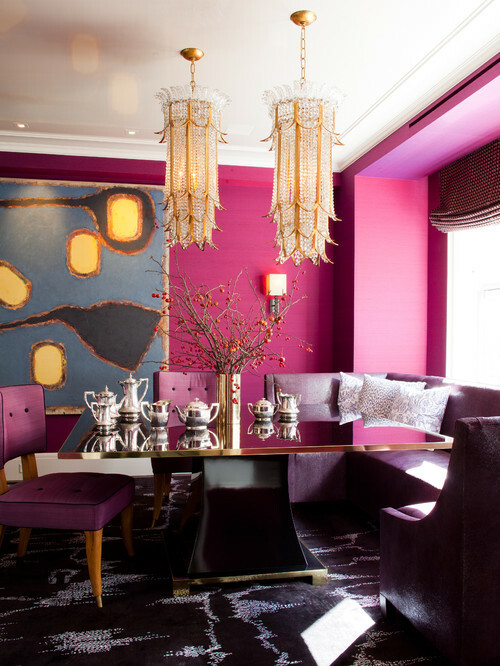 This color is inviting and assures you of a very lively dinner at home. 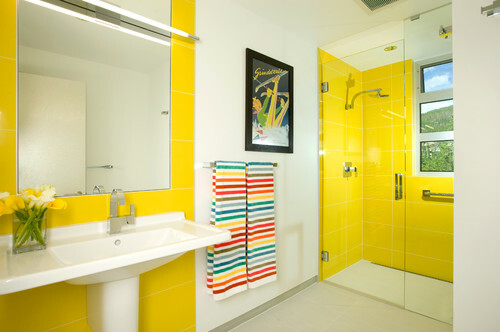 Bright shade of lemons may not be attractive to many but this color can definitely wake you up and help you welcome your daily morning shower with much enthusiasm for the day ahead. Oh, the vibrant colors are so eye catching. I don't mind having a purple wall. Oh, what do you know, I do have a purple wall in my condo unit in QC back in the Philippines. It's so pretty and initially, I thought it was such a loud color but later on, I kind of taken a liking to it. It blends well with nice yellow splashes of color. The last photo too is pretty. I didn't realize a lemony yellow can be so cool! Nice pics sis!!! I love that second choice that you put. The colors are very calming and refreshing. I love the contemporary kitchen and the modern bathroom. It fits my personality. YES! I would try bold and wild colors!!! 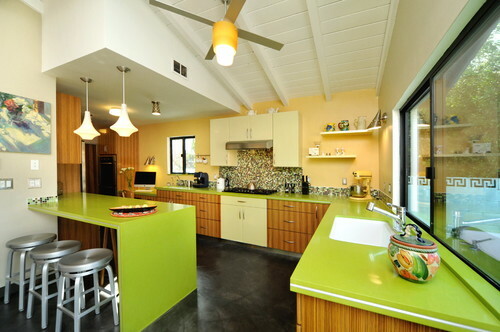 I'm so digging the Contemporary Kitchen, its perfect. Not bad at all. You have given me some idea to ponder at. I am not that bad when it comes to doing painting works so, I guess I have to try doing our living room a facelift. I love the designs! I need to choose a good interior design for our ne condo unit :) This post makes me want to search for more tipsAte kriz! Wow your family has acquired a new condo unit? That's great! Do visit here for more design inspirations. Hehe. I love bright colors, Teh Krizz. Ganda-ganda naman ng mga sample designs dito. I would love a mix of both modern and contemporary designs. I am so looking forward for more of your tips nexy post. Hehe!